Updated Thursday August 23, 2018 by Saskatoon Minor Basketball. 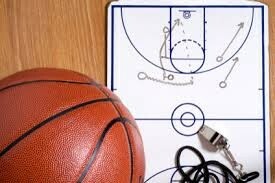 The SMBA coaches' clinic will be on Sunday September 29th. All new coaches that do not have a NCCP basketball course or a SMBA course must attend this clinic and can register with the SMBA. You will be emailed with details before this date. Please be changed and ready to participate throughout the day and if possible bring a basketball with you. Coaching manuals will be given to those that have registered. Listed below are the Coaching Resources available. The actual downloadable files are found below.